Marion Goldstein is the author of Embracing the Sign: A Journey of Faith, Science and Experience (2017), a memoir, Hard to Place: One Family’s Journey Through Adoption and a book of poetry, Architecture of the Unpronounced. Goldstein is a psychotherapist who was associated for many years with Carrier Foundation in Princeton, NJ, initially as a Poetry Therapist and subsequently as Director of the Women’s Program and The Women’s Trauma Program. Articles she has written, related to her role as a clinician, have appeared in the Carrier Foundation Medical Education Letter, The Journal of Social Psychiatry, The Arts in Psychotherapy and The Journal of Poetry Therapy. She contributed a chapter to Life Guidance Through Literature. A chapter from her memoir, Hard to Place entitled Two Roads Diverged was published in Ars Medica, A Journal of Medicine, the Arts, and Humanities. Goldstein’s poetry has appeared in several literary journals. Her chapbook, Blue Prints was edited by Jason Shinder and published by The New School Chapbook series. Her chapbook, Psalms for the Cosmos , for which she won The Red Wheelbarrow Award was published by Pudding House Press. Several of her poems have appeared in Preaching the Poetry of the Gospels and Science as Sacred Metaphor. 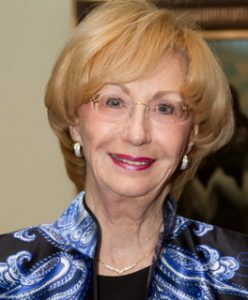 For the past ten years, Goldstein has been active in CASA (Court Appointed Special Advocate) an organization that advocates for children within the state court system. She is also associated with UWWE (University Women of West Essex) an organization dedicated to awarding undergraduate scholarships for students in Essex County, NJ where she serves as chair of the Mature Women’s Scholarship. Marion Goldstein and her husband raised their family of five, Robert, Kathleen, Dennis, Kurt and Eddie in an old house on a hill in Montclair, NJ. She now lives three miles down the road in Cedar Grove with her husband Bob where they have traded the upkeep of the many rooms the family filled for a condo with a bank of evergreens and a cluster of cherry blossoms outside the windows. Here with the help of air mattresses she can still indulge herself with visits and sleepovers for her thirteen grandchildren.